I hope you all are well! I have to apologize for being gone but November was a whirlwind. Between Hurricane Sandy & my busy grad school schedule it’s been insane. So here I am with my monthly faves and an exciting holiday giveaway announcement! November has been all about simplicity. 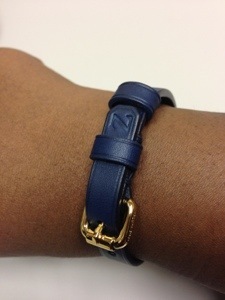 I have been so busy and these items have been my go-to items for the month of November. 1. Naked2 Palette – I really held off on getting this. Finally, during Urban Decay’s Friends & Family Sale, I decided to pick it up! I am so glad I did this palette is great for everyday looks! 2. YSL Le Teint Touche Éclat Foundation – After loving Touche éclat I decided to give the foundation a try. It’s gorgeous! It covers imperfections while giving your skin an amazing glow. This will be my go-to foundation for the winter months. 3. Cholé Perfume – I love this, very sophisticated yet bold. This will be my signature fragrance this winter. 4. 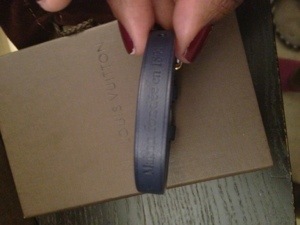 Louis Vuitton Stamp it Bracelet – This has been another fashion staple for me, I wear this with everything! 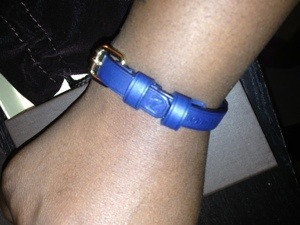 I got my initial embossed into the bracelet. Love it! So guys that’s it, November flew by and was pretty uneventful. I hope you enjoyed my faves. So guys look out for my holiday giveaway that I will be posting this week! I wanted to do something nice for my subscribers as a thank you! I hope you guys enjoy it!